At first gaze, resume writing isn’t difficult. Yet still, each person, working at a resume must know that this document is viewed by the software and a person as well. First, your resume is reviewed by software. After that it will be reviewed by a hiring manager. So, what to do if you wish your resume to achieve its main goal? What to do if it is critical for you to get this job? Read our tips below! Select the Most Appropriate Resume Format. No one but you can decide which one will work in your particular case. You should analyze your experience, background, skills and accomplishments and after that you can select the best format. As a rule, a properly chosen format can help you highlight the best of your skills! Furthermore, you should also customize it depending on the position you wish to apply! Remember one rule – a chosen font must be easy to read! A hiring manager isn’t going to spend hours trying to read the information about your accomplishments or education background. This person has no time for guesswork. On that score, it is much better to use Times New Roman, Calibri or Arial. The size varies between 10 and 12. Don’t limit yourself to indicating only your email address. Add the fullest information about who you are and how to get in touch with you. Phone number, address, email address, Facebook or LinkedIn profiles – all this must be added to your resume. Maybe you have your professional blog. So, add the link to this blog as well! First, a resume is scanned by software. As a rule, such programs scan resume according to specific keywords. So, if you want to get the job, you need to pack a resume with such keywords. Read the requirements of a company and add the words that are mentioned in the job position. In doing so, you will definitely improve your chances! It means that you need to add the data about your skills and accomplishments at the beginning of a resume. It needs to strike the eye! Correct a Resume according to the Modern Requirements. If it is still a problem for you to get an invitation for a job interview, you probably understand that the modern job-seeking environment is competitive now. So, your primary target is to make sure whether your resume is really worth attention! It needs to be perfect and prove one more time that you really endeavored to create this resume! So, now when you know how to create a winning resume. Nevertheless, in case you really face difficulties, or your English is far from fluent, welcome to ResumeFormat2015. 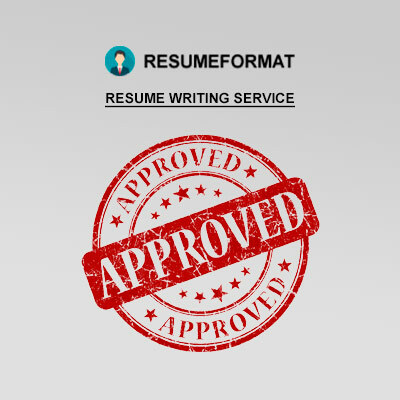 Our team of skilled professionals will help you with resume writing.